We live seven miles from town, out in the country with the trees, wildlife and other rural highlights. A major connector road runs beside us, busy with traffic traveling at high speeds. The noise can get loud thanks to truck traffic and the endless lines of commuters twice every work day. Yesterday morning was a rare respite, delivered thanks to a hapless driver falling asleep at the wheel at 3:30 in the morning and taking out a utility pole two miles south of us. The accident closed down our road for six hours. Of course, we didn’t have any power. There was also unusual quiet. All the heavy trucks, commuters, delivery vehicles, etc, were diverted elsewhere. As I warmed my coffee outdoors on the burner of my propane grill, I marveled at how quiet the countryside could be. I could hear the birds singing far off in the woods. Diverted traffic created barely a whisper, four or five miles away. I listened to the wind rustle the ferns by the door. 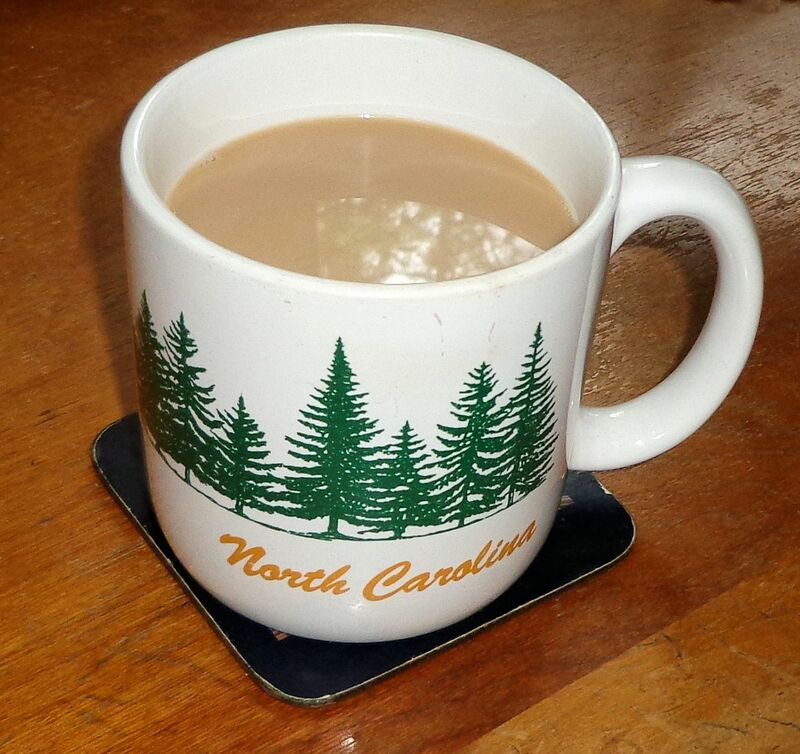 I poured the warm coffee into my favorite North Carolina mug and enjoyed the sounds of nature. What a wonderful thing the quiet is. I miss it sorely. It has not been quiet at the farm since the road was widened and “improved” in 1988. Even before then the trucks made noise. They just had to go much more slowly and couldn’t build up the sort of roar they now create. Over the decades the volume of traffic has risen until now there are as many vehicles passing us daily on the two lane road as go through our town every day on I-95, a four-lane, interstate highway. I wish something could be done to get rid of the traffic. Just removing the trucks would greatly improve the sound environment. Because we live on a hill overlooking a valley and a ridge of similar height a mile away, the sound echoes, greatly amplifying the noise. I long for the day when electric cars and trucks and the use of trains to transport goods reduces the endless flow of sound past our farm. Probably won’t live to see it. That is why every so often I have to get away to somewhere free of roads and traffic. Where the loudest sound is made by the wind or a noisy bird. Just to let the silence clear my mind, so I can relax. By the way, the man who hit the power pole will be fine, although his pickup truck didn’t fare so well. I am glad we live in a quiet area. At least it is quiet a lot of the time after everyone has gone off to work. Graham is in Edinburgh so I have lots of quiet!